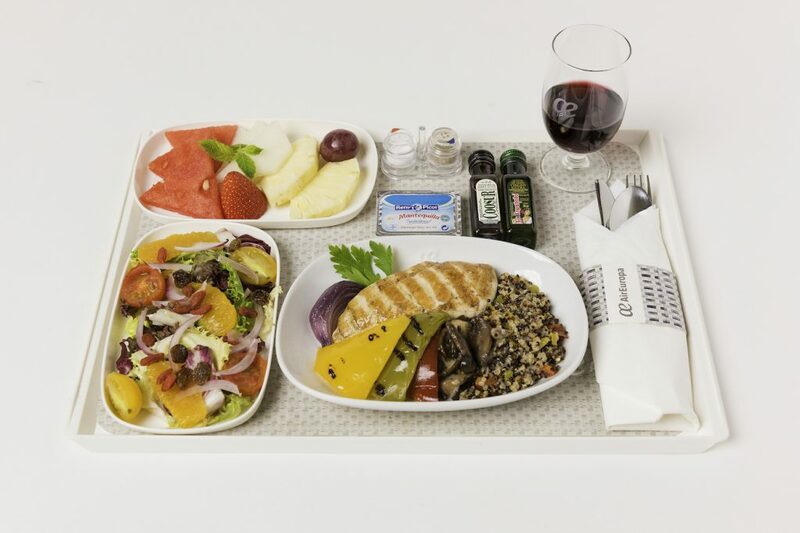 Our new menus, which include tasty and balanced options, were implemented last September on all flights arriving and departing to/from Tel Aviv. Keep on reading to find out more about all our delicious menus! Breakfast is considered to be the most important meal of the day. 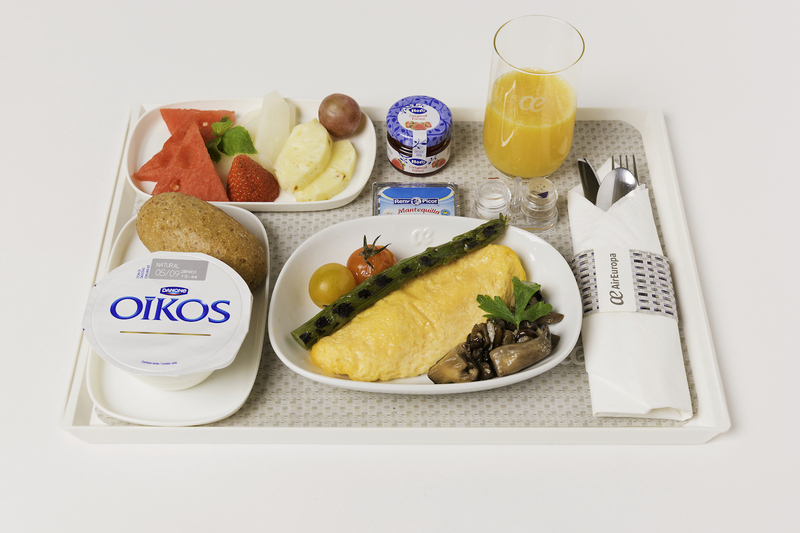 For that reason, we have designed a full breakfast menu consisting of an omelette with accompanying grilled vegetables, freshly baked rolls, yogurt and a selection of seasonal fruit. Enjoy a balanced, healthy lunch which includes a mix of protein, carbohydrates, and a delicious selection of fresh fruit and vegetables. Our vegetarian menu stands out for its tasty flavours and nutritional benefits. 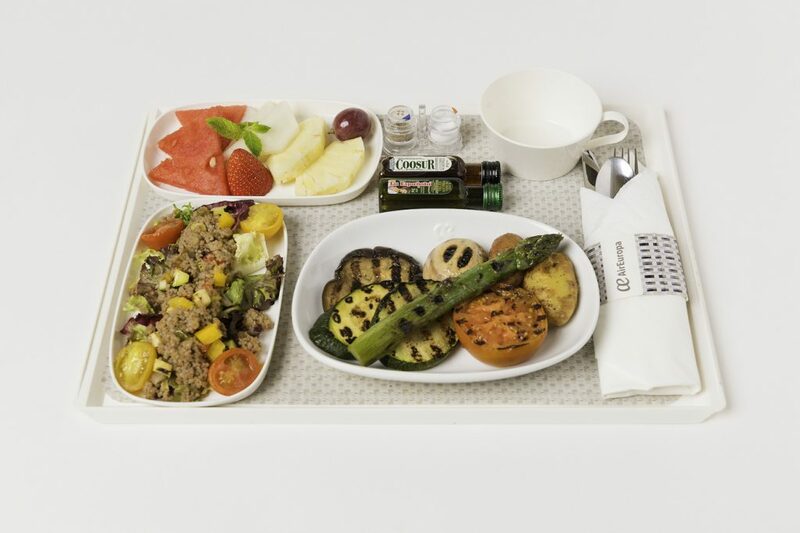 This balanced meal includes a bulgur wheat salad, grilled vegetables, and a selection of seasonal fruit. 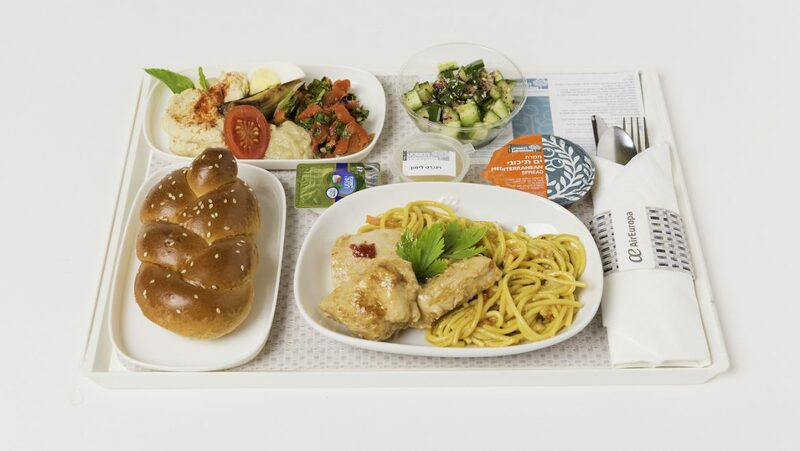 All passengers flying on our Madrid – Tel Aviv flight can also enjoy a nice meal prepared in accordance with Jewish Dietary Laws, prepared by our certified suppliers. Flying to Tel Aviv? You can pre-order our new menus by calling our customer service (+34 911 40 15 01), or by contacting us through our social media channels (Facebook or Twitter). 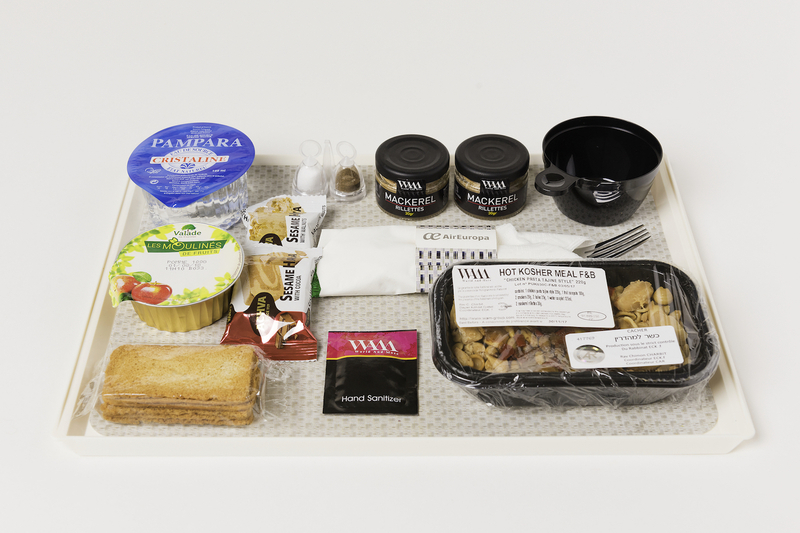 These menus are only available upon request, and need to be ordered at least 72h prior to departure. 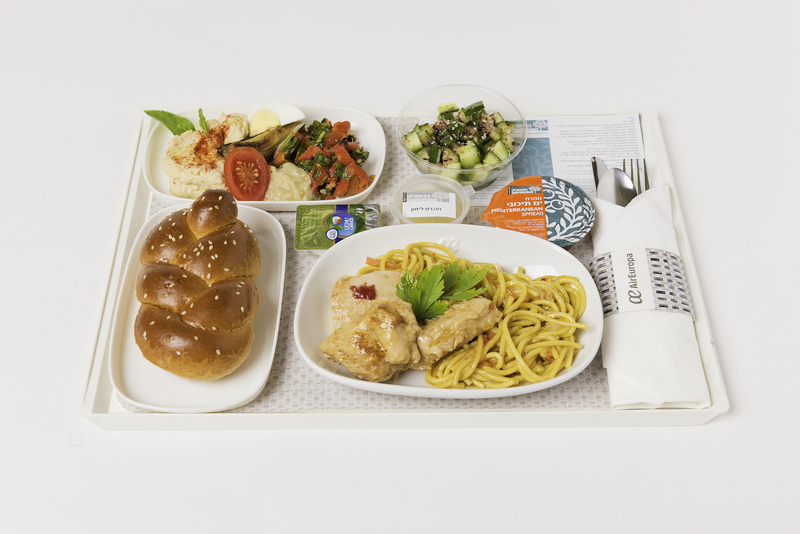 In addition to these new menus on our Tel Aviv flights, you can still purchase a selection of food and drinks from our in-flight catalogue, which includes tasty, freshly-made dishes and healthy bites. Choose from our extensive range of products at attractive prices and get the best value for your money. Try our sweet and savoury snacks, healthy bites, sandwiches, pizzas or even tapas, there’s something for every palate! The Tel Aviv route, which began operations in June 2017 is now one of our Dreamliner Destinations, which currently include Miami, Bogotá, Santo Domingo, Buenos Aires, Sao Paulo and Lima. We fly to Tel Aviv 6 times a week, and the flight schedule allows for convenient connections from Madrid, as well as most of our transatlantic flights, which depart early in the afternoon. Fly to Tel Aviv with Air Europa and share your experience with us in the section below!